From Anushilan Samiti’s revolutionary violence and idealist armed insurrection to the mindless present-day violence, the cult of the bomb rules Bengal. Political violence has always been an integral part of Bengal’s history. The forms of such violence – over time – have mutated and transformed themselves. In the series Bengal: Genealogies of Violence beginning today, The Wire attempts to capture some of the milestones that mark the narratives of political bloodshed spanning more than eight decades. With the objective of highlighting the divergent pulls of violence, the series will focus on pre-independence anti-colonial armed struggles led by clandestine groups like Anushilan Samiti, Jugantar, the militant Tebhaga peasants’ struggle for one-third crop share, communal bloodshed of the 1946 Great Calcutta Killing, the 1970s armed Naxal insurrection, and later Left Front government-sponsored violence against Marichjhapi refugees, to the epoch-changing Nandigram and Singur movements. In delineating diverse aspects of the state’s legacy of violence, the series suggests how contemporary violence, centred around political parties and aimed at controlling electoral turf, stands in sharp contrast to the philosophies that spurred the earlier forms of violence the state had witnessed. If you would like to receive the nine-part series directly in your mailbox, sign up here. Much of West Bengal’s reputation of being politically volatile and violent derives from the specific form of violence that marked the state in the tumultuous 1960s and 1970s. This was a period of big mass struggles – the food movement in 1966, land occupation under the aegis of the two United Front governments (1967 and 1969-71), and militant industrial workers’ strikes that gave birth to the gherao as a particularly coercive form of protest. All this led to massive flight of capital, giving the state its reputation of being violent. Despite the above, however, West Bengal cannot quite compare with the record of violence in most other states. Even if we set aside instances of various kinds of gangster or mafia violence where West Bengal may show up to be as bad as other states, on other fronts the state hardly exhibits the types of violence one sees elsewhere. Thus for instance, West Bengal has not seen violence of the scale and intensity witnessed say, in the anti-Sikh carnage of 1984, the post Babri Masjid demolition violence across northern India and Mumbai, or the 2002 massacre in Gujarat, since the Partition. We could also recall in this context the infamous Nellie massacre in Assam in 1983 or the Hashimpura and Maliana killings (May 1987) of Muslims by state paramilitaries in Uttar Pradesh – not to speak of the daily violence meted out to Dalits. But seldom do we find these states in question being defined by their endemic violence against Dalits or Muslims. Capital, of course, is another matter – if your violence is seen to be directed against capital, there is no redemption for you. At another level, though, it is not incorrect to say that West Bengal and its youth have had a long romantic involvement with violence: Violence seen not merely as a force of transformation, but also as ‘cleansing’, in Frantz Fanon’s sense – that is, as a force of self-transformation. At the end of the 1960s, West Bengal saw the rise of the Naxalite movement, which openly proclaimed the armed overthrow of the state as its ultimate political objective. Slogans like ‘political power grows out of the barrel of the gun’, taken straight out of Mao Zedong’s little ‘Red Book’ of quotations, adorned Kolkata’s walls, stimulating the radical imagination of the youth impatient with the political system. The political system – bourgeois democracy, as it was in Naxalite and Marxist parlance – was seen to be the biggest impediment to any kind of meaningful social change. Food shortages, rampant unemployment and grinding poverty – nothing seemed to matter to those in power. The young revolutionaries even began to perceive in the formation of United Front governments, where the Communist Party of India (Marxist) (the parent party Naxalites had broken away from) was the dominant partner, as a betrayal of ‘the people’. To them, being part of the government meant becoming a part of that corrupt and decrepit system. This romance with violence was to soon degenerate into a ‘cult of the bomb’. 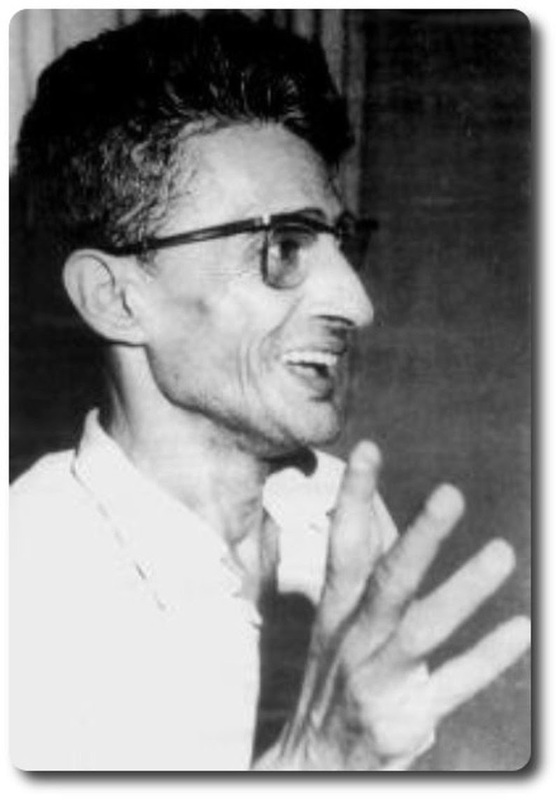 The Naxalite movement rapidly became an urban affair where symbolic destruction of the statues of venerated figures of modern Bengali society went hand in hand with the ‘identification’ and ‘annihilation of the class enemy’ – usually a lowly police constable or activist of the ‘revisionist’ parent party, the CPI(M). Interestingly, this violence was strikingly different from the kind advocated by Charu Mazumdar, the ideologue and supreme leader of the Naxalite movement, in its early phases. ‘He who has not dipped his hands in the blood of the class enemy is not worthy of being called a communist,’ went Mazumdar’s injunction. Indeed, Mazumdar was totally opposed to peasants using firearms. When action squads went to ‘annihilate’ the hated landlords, they had to use ordinary implements like the kaaste (the sickle) or the gnaiti and choppers that ordinary peasants used and were familiar with. In other words, implements that required the revolutionaries to move up close to the enemy and feel the impact of their own act on themselves. Killing was not to be a distant technological act for Mazumdar, for it would then strip the act of its cleansing, purifying power. There was nothing Marxist or Maoist about this fascination with blood. It seems to have more in common with the cult of blood one found for instance in the Tantric and Sakta traditions, which were very popular in Bengal at one time. The cult had a powerful presence in the thinking and conduct of Bengal’s early 20th century upper caste revolutionaries. Aurobindo Ghosh himself was the high priest of one version of Sakta-Tantra, appropriating the mother figure in the cause of nationalism. Later however he moved away from the more embarrassing Tantric elements towards a higher form of Hinduism. Such instances of violence were quite evident in the early phases of the Naxalite movement in the rural areas. The urban violence of the 1970s, on the other hand, drew from another early 20th century cult of revolutionary terrorism – which was the cult of the bomb. In fact, if there is one common element that runs through the violence of the revolutionaries of Anushilan and Jugantar to the idealist violence of the 1970s and culminates in the absolutely mindless and instrumental violence of present day West Bengal, it is the cult of the bomb. From the time that Hemchandra Kanungo returned after learning bomb-making from Parisian anarchists and introduced it in Bengal in the first decade of the last century, the bomb has never left Bengal. 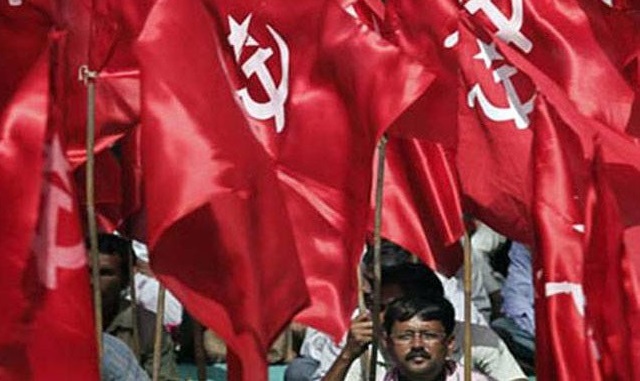 Between the 1970s and the 2000s, of course, lies the long period of the Left Front government – essentially the rule of the CPI(M), and the transformation of the spectacular violence of the Naxal period, its reduction to its most banal forms. In fact, this banalisation of violence as an everyday fact of life started in the interregnum era of Siddhartha Shankar Ray’s Congress regime from 1972 to 1977. It is well-known that the 1972 state assembly elections, held while the state was under president’s rule, were massively rigged. This poll outcome reinstated the Congress in power. What subsequently followed was one of the most virulent campaigns of combing areas, clearing them of Naxal and Left activists. Tens of thousands of Naxals were imprisoned without trial for years, while thousands were physically eliminated. Thereafter set in a period of calm. The pipe guns and bombs would from now on be wielded by gangster and criminal elements allied to the government, and used to silence all voices of opposition. A regime of generalised everyday terror, described by the CPI(M) as a period of ‘semi-fascist terror’ came into being. With the advent of the Left Front government in 1977, political prisoners were released, normal democratic processes were restored, the stage seemed set for a new phase in the political life of the state. The first ten years brought hope and significant transformation in the countryside, as Operation Barga and the activation of elected panchayats altered power relations significantly. Not really a programme of land redistribution, Operation Barga was, in fact, a much more modest attempt to register sharecroppers who earlier used to be thrown out by the landlords at will, especially during harvesting season. The democratic transformation in the rural areas raised hopes about the direction Left rule would take in the future. There was an air of optimism and expectation all round. And yet, it was precisely in this period of hope and expectation that the tragic developments in Marichjhanpi took place. To be precise, the violence in Marichjhanpi took place in 1979, within two years of the Left Front assuming power. That the Namashudra (Dalit) refugees who had long been forcibly settled in the wilds of Dandakaranya thought they could now move to Sunderbans and start a new life was also an indication of new hope. Little did the refugees realise that the game had changed. The violence accompanying the eviction of the refugees from Marichjhanpi was a joint undertaking of the state’s police and the party cadre. Amitabh Ghosh’s The Hungry Tide graphically brought out the Marichjhanpi story before a larger public that had for long, simply ignored that founding moment of Left/CPI(M) violence. Largely because of the prestige of the CPI(M) in those days – and the hopes that it had unleashed made the public trust the party without much questioning. It retrospect, it seems, Marichjhanpi was an experiment in the political management of public opinion on the one hand, and the selective deployment of violence when it came to establishing the regime’s or the party’s supremacy, on the other. Throughout 34 years of the Left Front’s rule, there were sporadic incidents of localised violence, largely to enable the CPI(M) to establish its unquestioned dominance, especially in rural areas. Often these episodes have involved violence against other Left Front partners like the Revolutionary Socialist Party (RSP) or the Forward Bloc as well. Within years of coming to power, the CPI(M) succeeded in establishing its unquestioned sway over rural areas. Thus a new chapter began in the history of West Bengal where ‘the party’ became the sole manager of conflicts and disputes, effectively mediating among the people so that they do not resort to large-scale violence. Claiming violence as its sole preserve, the party unhesitatingly deployed force whenever its dominance came into question. And till around the end of the 1990s, this strategy of maintaining order and calm, alongside selective deployment of violence where ‘necessary’, yielded results. It also produced a situation where overall the state remained relatively free of the kinds of violence we witness in most other states of India – even as a regime of everyday capillary control by the party over society at large, became institutionalised. The situation, however, started to change from the late 1990s, with the formation of the Trinamool Congress in 1998 and its close alliance with the Bharatiya Janata Party (BJP) which had formed the first National Democratic Alliance (NDA) government at the Centre. The BJP was perceived as an ascendant force and its distinctively Hindutva campaign, for the first time, began making electorally significant inroads in many areas: the party won the Dum Dum parliamentary seat in that election. For the first time the situation afforded the TMC an opportunity to challenge CPI(M)’s dominance in the rural areas in some districts. Following the 1998 panchayat elections, clashes first erupted in Midnapore, and later in Hooghly and Bankura districts. It was clear that the CPI(M)’s unquestioned dominance in the countryside was now being challenged. The long and violent battles for dominance in Keshpur between CPI(M) and Trinamool Congress that continued from 1998 to 2000 were an early indicator of the CPI(M) beginning to lose its grip over the rural areas. But the clashes were also an index of the fact that by now these violent conflagrations lacked any real substance or content. Their main objective was to establish party dominance in different areas. Years of CPI(M) rule transformed violence into a purely instrumental, everyday, affair. More importantly, the party’s interests became entangled with the interests of builders and other mafias who started to control the party in local areas. So, at one level, the CPI(M) fulfilled what it saw as its primary mandate – to keep at one level the more explicit forms of generalised violence in check. While at another level, the party created a whole new network of dominance, which reproduced itself on a daily basis. At this second level, violence became the sole prerogative of the party with numerous extortion rackets associating themselves with it. This level of violence, wedded to realpolitik as it were, constituted the capillary networks of power in the state, embodied in the party’s various branch and local committees across the state. It was this network of committees that later shifted to the TMC and provided the much needed support base it required in rural areas and small towns. Singur, Nandigram – and Lalgarh – in different ways, instituted a break in this logic. Unlike Keshpur (and other similar instances), here there were actual issues at stake. These were not, as the CPI(M) read them, simply TMC attempts at challenging the party’s dominance, even if the TMC jumped at the first opportunity to do so. Singur and Nandigram were desperate attempts by peasants, at the point of dispossession, to hold on to their land. The peasant movements thus became a point of articulation of a normative challenge to the ill-thought out programme of neoliberal industrialisation. The anti-land acquisition upsurge collected around it a whole range of other critiques of three decades of CPI(M)’s rule. In the process, the struggles raised serious ethical questions about ‘development’ as such. The CPI(M)’s inability to see these developments as an opportunity for course correction eventually cost it heavily. The party finally lost its long-held power in the state, perhaps never to return again. 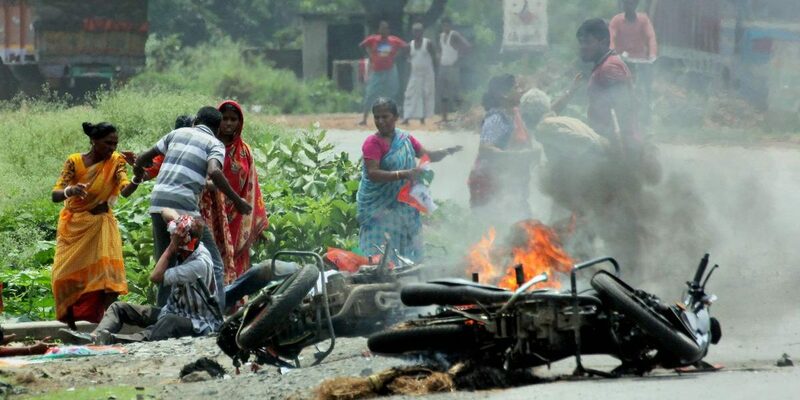 The mass desertions from CPI(M) to TMC from 2007 onwards, following the Singur-Nandigram moment, eventually ensured that the same kind of instrumental violence would now prevail under TMC rule. 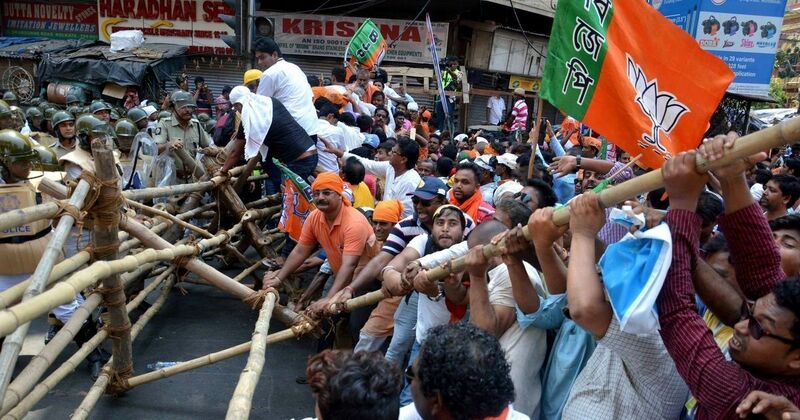 Nothing really changed except the party banner under which violence was now conducted. Worse still, with the CPI(M) and the Left Front gone, the crucial element of political management of large-scale violence and conflicts too vanished. The field now lay open for a free for all play of violence of the kind we are witnessing today. It is a field that is also now open for the Hindu Right to enter with its own brand of violence. In that sense, a new situation has emerged in West Bengal. A situation potent with a range of possibilities and dangers of the kind the state hasn’t seen in a long while. Where West Bengal goes from here remains to be seen. 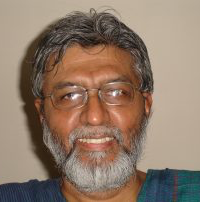 Aditya Nigam is a professor of political science at the Centre for the Study of Developing Societies.